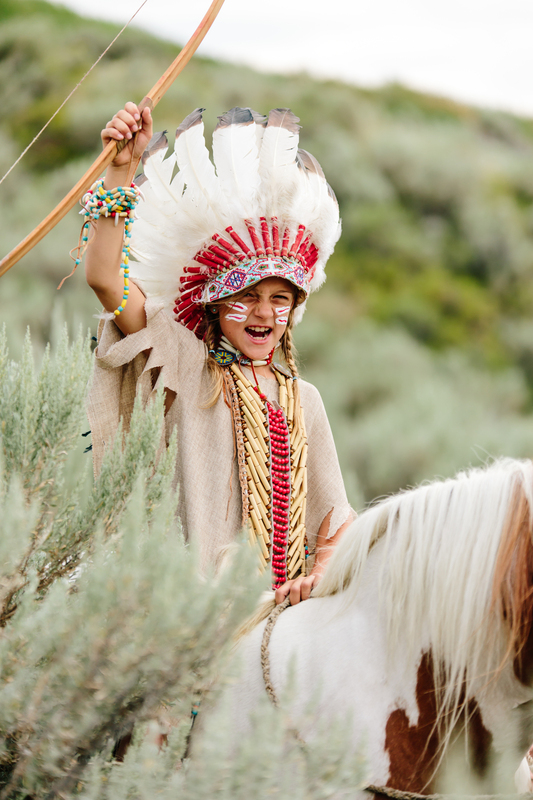 We take the game of cowboys and Indians pretty serious here on the 4th of July, I mean after all, I think the Indians deserve a little bit of thanks for the 4th of July as well . 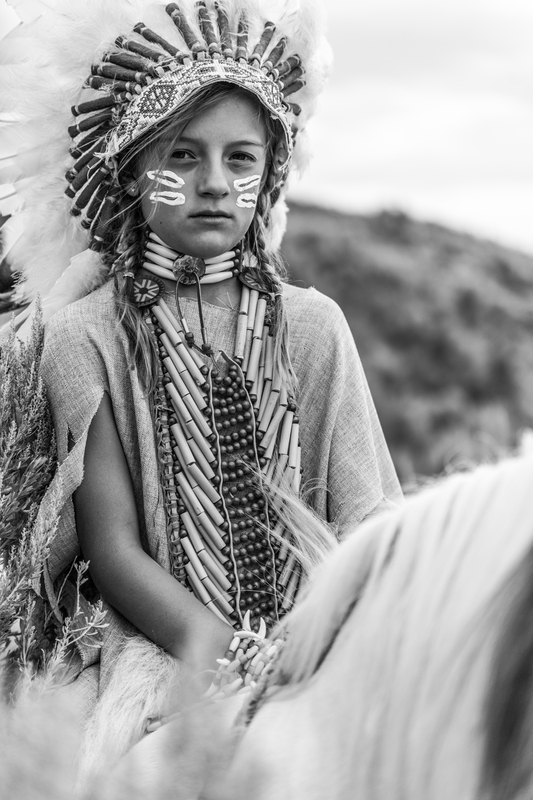 Its kinda hard to play the part of an Indian well without all of the needed attire right!? This is another shoot that was somewhat of a family affair. 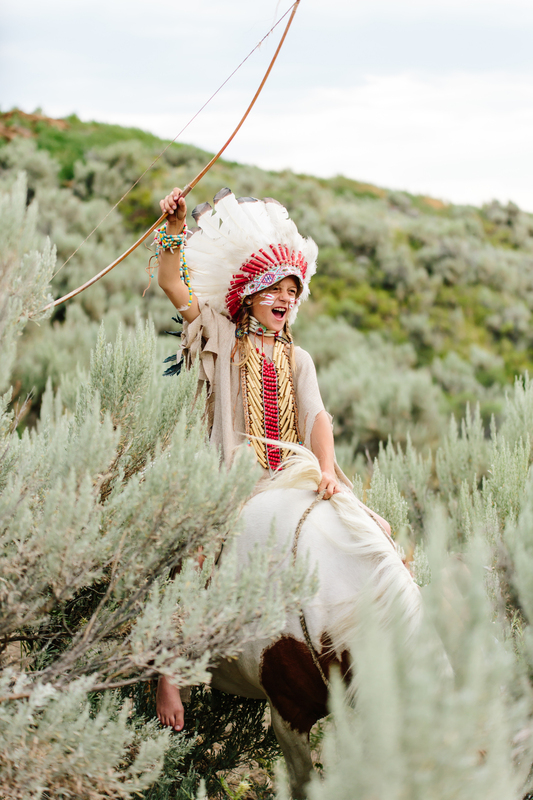 Thanks to Great Grandma and Annie for the Indian headdress and beaded chest necklace, and thanks to Grandma for the horses and quick Indian fringed outfit. Oh and thanks to Annie for donating the child for this shoot! oh and P.S. this little paint pony, Pepper, is for sale. Let me know if you are interested in buying it and I will point you to the person with the right info!